All village women are invited to come to health and hygiene classes taught by a traveling midwife—wearing a white hijab and glasses in this photograph. 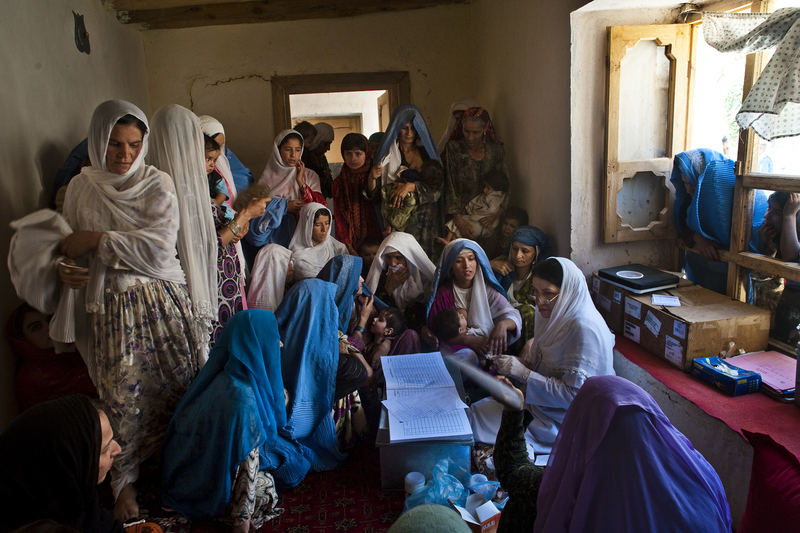 She works for a mobile clinic sponsored by the United Nations Population Fund and the international medical relief group Merlin, which brings pre- and postnatal care to women in isolated villages like this one in northeastern Badakhshan Province. She travels with a male nurse, who gives routine checkups to the kids.